The number of UK mobile networks continues to expand with new MVNOs popping up rather frequently. Today I've learned about two more options for those on the lookout for a new SIM-only plan. Three has just launched Smarty, and Vodafone is readying Voxi (from 8th Sept), both offering particular attractive qualities, depending upon your data usage patterns. Smarty's unique proposition is that the network will buy back unused data chunks by the way of discounts to your next month's bill. This is a SIM-only network set up by Three which has just three tariffs to choose from, for now. Check out the tariff chart allocations and pricing below. It's with data use things get funky, but in a good way. 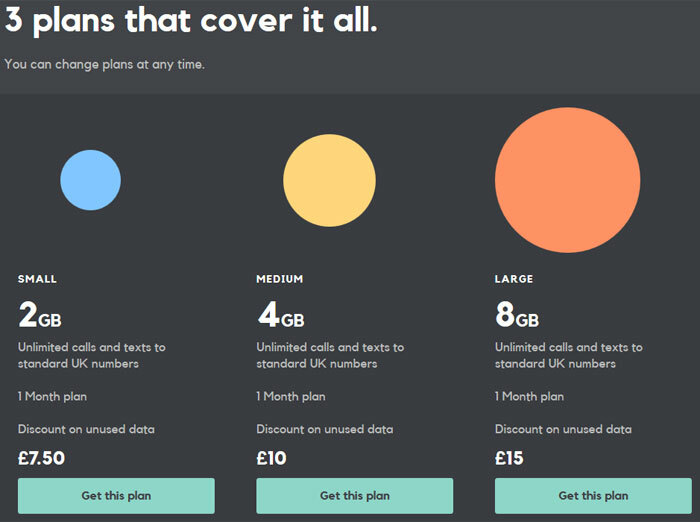 Smarty says that all the standard plans have £5 allocated to provide you with unlimited calls and texts and any data aloowance has been added at £1.25 per GB. You start with what you feel is a comfortable plan and if you under utilise the data you paid for, you will get credit back on your bill next time around. Credit is calculated in MBs and at the same rate as you bought it. So you won't get short changed as data is not bought back in rigid GB sized chunks for example. Voxi is yet to launch but has been announced (via Engadget) for an 8th September debut. Like Smarty, it will start with just three 30 day plans but they are somewhat more expensive. Voxi is said to be designed "for and with people aged 25 and under" and includes some niceties aimed particularly at social media enthusiasts. The particular appeal of Voxi is that heavy social media users shouldn't impact their data allowances when using key social networks / apps, as follows: Facebook, Facebook Messenger, Instagram, WhatsApp, Pinterest, Snapchat, Twitter and Viber. That would be much more attractive if it included YouTube and Spotify, for example, but we know those apps/sites are rather data hungry. If you approach 80 per cent usage of your data allowance you will get an alert from Voxi, followed by another at 100 per cent. Subsequent data is charged at £3 per GB. Voxi sounds superior to Smarty in that its roaming terms are already published. You can use your phone as you do at home in 50 destinations at no extra cost – including countries outside the EU, such as Switzerland and Turkey. If you are wondering, the unmetered data use within the aforementioned social media apps also applies when roaming. Voxi SIMS can be pre-ordered now. 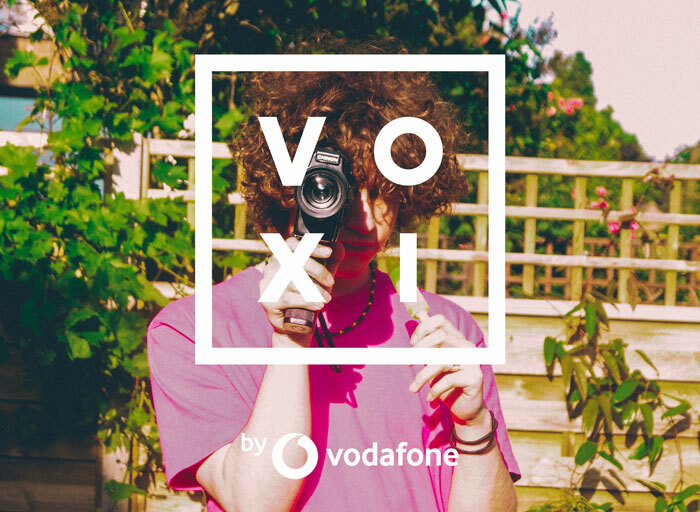 Helping you choose between Smarty and Voxi will be your pre-existing awareness and experience of the Three/Vodafone network strength and availability where you live and work. Voxi should be be boycotted and have their network shut down. Offering “free” data for specific services is the beginning of “you need to pay more to get better/faster services with other systems”. Some people will disagree with me that it's not the same as ISPs being able to make “fast lanes” for specific services unless the provider pays more money, but it's a start. What about those people who use Google Hangouts for Social Media? Did Google just not pay enough to get in that clause? An entire contractual framework has been written up to provide better service to those that pay the most. I would also bet that bandwidth is given priority to those services as well. Same with o2 providing free access to itunes (i think) and a couple of other organisations doing similar for Spotify and some other bits and bobs. Plusnet Mobile (who operate on the EE network), until yesterday were offering 5Gb Data, 1500 min and unlimited text for £10 a month, 30 day contract. Believe it's reverted to 4Gb now, still a great deal. This explains Vodafone's shutdown of Talk Mobile then. I'm tempted by the small smarty, it's a 4-fold increase in data for 50p more than my (12 month) contract (and probably will be cheaper given I'll have data spare each month).